Me in various stages of made-up-ness. Lately, women who I've known for years, friends and family alike, have been approaching me with the look of a child coming to confess to breaking the vase in the hall & be punished. The encounter starts nicely enough: "I love your blog..." And then it hits: "I know I should be [covering my under eye bags/wearing lipstick more often/curling my eyelashes] but I just don't [have time/know what color would work for me/know how]." While by no means does every woman react to my hobby this way, (and by no means am I reprimanding the women who do) it's been a source of concern for me. Why do so many women feel guilty for not wearing makeup? I haven't conducted any official surveys or scientific studies on this topic, but I'd venture to guess that those to react to the topic of makeup this way feel that they are somehow falling short in not doing so, or doing so "incorrectly." I wanted to write this post to say few things to anyone who feels that way: What you choose to smear or not to smear on your face every morning does not define you. You can never give makeup a passing thought. You can use makeup to cover a few "flaws" & smooth you skin tone, going through the motions of it the same way you do when you brush your teeth. Or you can have some fun with color and try a new technique every day. Whichever you choose, you're doing makeup right because you're doing it the way it works for you. I enjoy applying makeup as part of my daily routine; I delight in thinking about what new color combination or eye shape I want to try tomorrow in the same way I'd imagine some people contemplate what workout combo they're going to try next, or what decor they want to try in their living room next. It's not that I don't like to workout (well...) or decorate my surroundings, but they're not passions of mine. No one pursuit is any more noble than another (though I know I should work out more...). So the woman who doesn't worry about wearing makeup is no less interesting/creative/feminine than me; just like I'm no less interesting/creative/feminine than the woman who wears perfectly tailored clothing every day or studies botany. 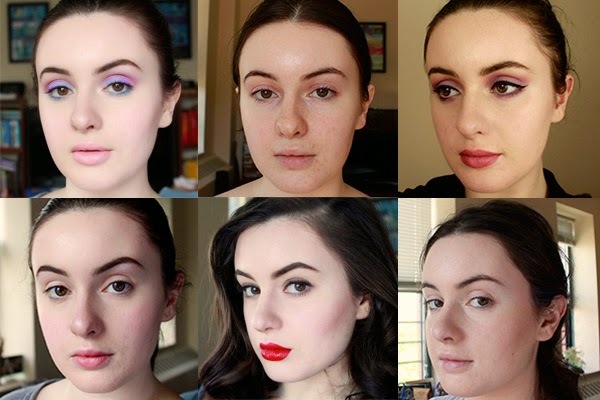 I don't want this post to be long, so let me just say this in conclusion: I'm thrilled to share the meager knowledge of makeup I've gained over the past decade of my life with anyone who wants to learn about it or is interested. But only buy makeup for yourself if you want to, not because you feel you have to.